As if you didn’t know that… It’s been kinda hard to miss. 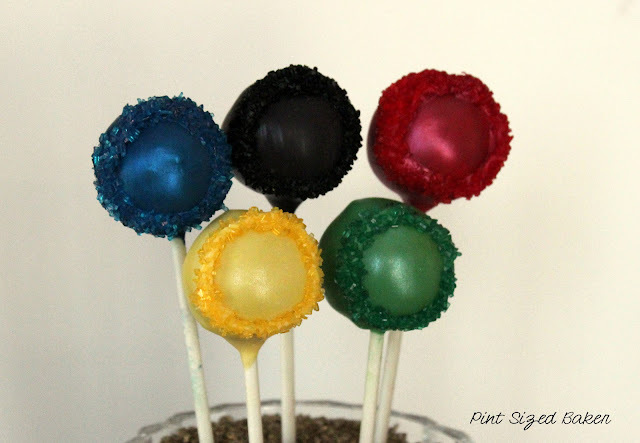 So, to celebrate, I made some Olympic inspired Cake Pops! What else did you expect from me? I made a few different ones that you can try out based on your cake pop skill level. First off, some basic cake pops. Five colors to decorate the pops. Just dip and dry. And then, get some Luster Dust and dry paint it on to add some sparkle and shine. Then, I added a sugar ring to the pops. One the pops are dry and the luster dust is added, add a ring of melted candy and sprinkle on some sugar crystals. To add some complexity and detail, I made some “donuts” and added some sparkle with sugar crystals. Finally, I piped some circles with the candy melts and added them to the top of the basic cake pops. 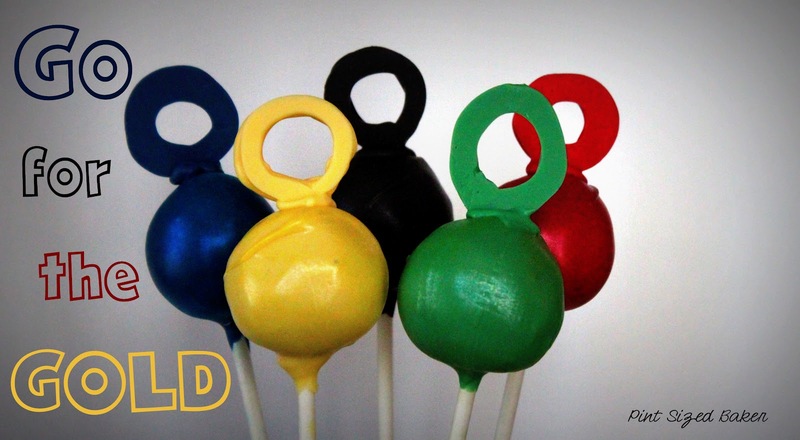 I think they look more like kettlebells, but I’m sure the Olympians would still appreciate this tasty treat! Love how the lustre dust gives it that added shimmer! I saw these on Market Yourself Mondays and I had to take a look. What an artist you are. I will be coming back for more ideas. Thanks. These would be great for a viewing party…maybe the closing ceremonies! I'd love to invite you to share these ideas at my link party ~ Mom's Test Meal Mondays! 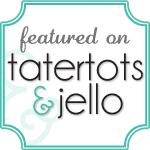 This week is all about desserts! 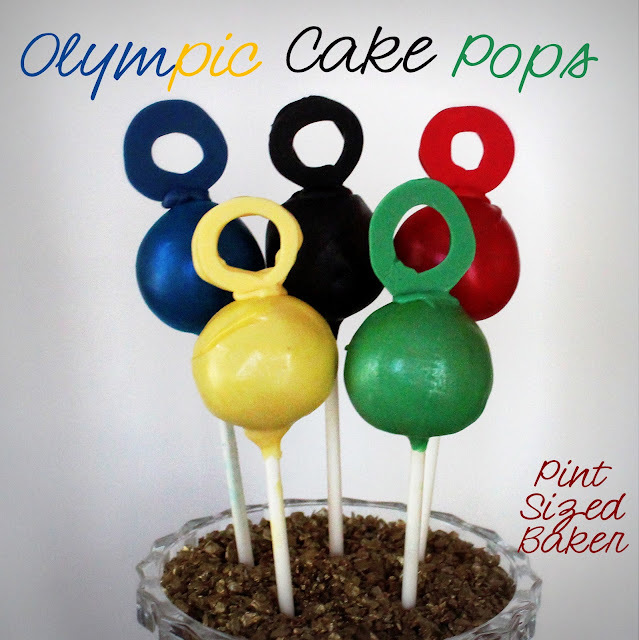 Those are so fun and perfect for an Olympics party! Thanks so much for sharing! These cake pops are perfect for an Olympic party! I love how the rings are made from just chocolate circles. 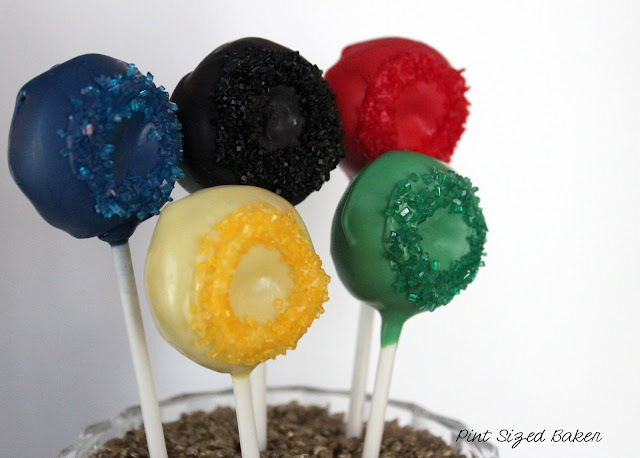 What an easy idea to add some Olympic charm to this treat. Great idea! These are so cute! Thanks for sharing this recipe at my Say G'Day Saturday Linky Party. Hope you can join in again this weekend! 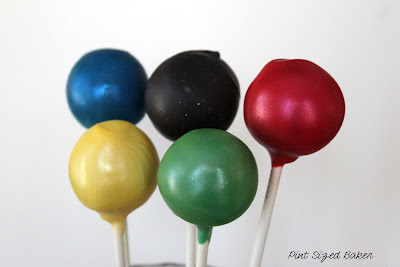 These are awesome Cake Pops, just love the colors! Hope you have a great week end and thank you so much for sharing with Full Plate Thursday. So cute! I especially love the Luster Dust. Thanks for linking up to The Sunday Showcase. Just wanted to let you know I featured these as part of my link party wrap up today!